Now in its 44th year, the 40 Hour Famine remains one of Australia’s largest peer-to-peer fundraising events. Learn more about the 40 Hour Famine Backpack Challenge in 2019. When is the 40 Hour Famine Backpack Challenge? 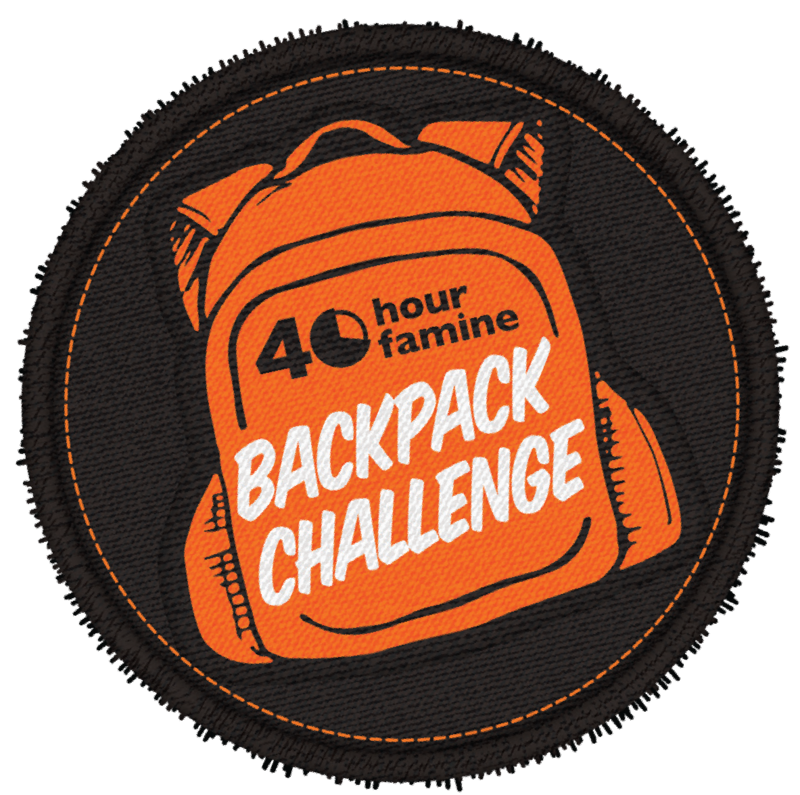 In 2019, the 40 Hour Famine Backpack Challenge times are from 8pm on Friday 6th September until 12pm on Sunday 8th September. You can also participate outside these times by creating your own challenge or hosting a fundraising event. What time does the 40 Hour Famine Backpack Challenge start? Get ready to live out of your backpack from 8pm on Friday 6th September. We suggest packing plenty of snacks and water to make it through the first night. Just remember to ration: you’ll need enough food to get by until 12pm on Sunday. For more tips on how to prepare, make sure you read our handy How-to Guide. Any ideas on what I should give up? Instead of giving things up, the 40 Hour Famine Backpack Challenge is all about how much you can carry. Anything that doesn’t fit in your backpack can’t be used over the 40 hours, so just pack the essentials! What would you pack if you were forced to flee your home? For ideas on what to pack, check out our How-to Guide. How do I sign up for the 40 Hour Famine Backpack Challenge? Sign up here and we'll keep you posted on 40 Hour Famine Backpack Challenge news, updates and events. Once you’ve signed up, you’ll get access to a personal fundraising page where you can track donations, win Challenge Patches and share your progress! When is the last day to sign up to the 40 Hour Famine Backpack Challenge? You can sign up all the way up to (and on) the weekend that you are participating in the challenge. This year’s 40 Hour Famine Backpack Challenge will help World Vision Australia support the needs of refugees and displaced people around the world, including through: emergency relief; provision of supplementary food; nutrition and hygiene support; maternal and child health care; and education opportunities for children and families. Together, we can lead change for young people who could just as easily be in our shoes as we could be in theirs. What are the 40 Hour Famine Backpack Challenge rules? This year, there’s only one rule: live out of your backpack for 40 hours. What you put in it, or how you approach the challenge, is up to you. But we have created some guidelines to make sure your weekend reflects that of a real refugee as closely as possible. Check out our How-to Guide for more info. Can I still do the traditional 40 Hour Famine? Giving up food or something else? The 40 Hour Famine Backpack Challenge lets us experience what it’s like to leave almost everything behind. By living out of your backpack for 40 hours, you can start to understand what it’s like for young people just like you to leave home with only a few essential items. We encourage you to join us on this journey. But of course, it's all about raising money to lead change for young people who need it the most – how you do that is up to you. You could give up food or technology, sleep in a box, wash cars, hold your own fundraiser, walk 40 kilometres – the choice is yours! Be as creative as you like; do it in a group or on your own and the funds you raise will still provide much needed support for young refugees and displaced people around the world. You are no longer required to give up food for 40 hours, but don’t pack a feast either! Many refugees have minimal food during their journey to safety, and often remain on limited rations when they reach a refugee settlement. Pack enough light, nutritious food to get you through the weekend, such as cooked rice and legumes, nuts, dried fruit, rice crackers and tuna. For extra space, ditch any bulky packaging. For more ideas on what to pack, refer to our handy How-to Guide. What is the 40 Hour Famine Backpack Challenge? Now in its 44th year, the 40 Hour Famine remains one of Australia's largest peer-to-peer fundraising events for young people. Since 1975, the 40 Hour Famine has raised over $200 million to support World Vision Australia projects across 26 countries. In the past nine years alone, more than two million people have benefited from the sacrifices of Aussies like you. Traditionally, participants have gone without something important for 40 hours, raising community awareness and much-needed funds to help fight global poverty and hunger. Food was the common choice for participants to go without however many others have gone without technology, furniture, talking or even the use of a limb! Last year, the 40 Hour Famine was renamed the 40 Hour Famine Backpack Challenge to address the refugee and displaced persons crisis. Globally, 68.5 million people have been forced from their homes due to conflict and more than half of all refugees are under 18. When you take part in 2019, you'll commit to living out of your backpack for 40 hours to lead change by raising funds for young refugees and displaced people. You’ll also begin to understand what it's like for young people just like you to leave almost everything behind, even if just for a weekend. Want ideas on how get started? Check out our How-to Guide for some 40HF Backpack Challenge ideas and inspiration, or find out how to host a challenge at your school in our Weekend Challenge – School Guide. For fundraising ideas, make sure you read our 10 Steps for Fundraising Success. How does this year’s 40 Hour Famine Backpack Challenge work? Last year, we started doing things a little differently. Instead of giving up food, thousands of young people in Australia lived out of their backpacks for 40 hours. This is what you’ll commit to doing if you join the challenge in 2019. Anything that doesn’t fit in your backpack can’t be used over the 40 hours, so it’s important to pack the essentials: food, water, warm clothes – whatever you think you'll need to get through. You no longer have to give up food – although to keep it realistic, you can choose to eat less than usual, as many refugees live on rations. Over the 40 hours 12 challenges will be released via our website and social media. The challenges are designed to test your resilience and show you what it might be like to flee your home. This year we will introduce you to four young people – from Myanmar, South Sudan, Syria and Uganda – and you’ll have the chance to choose challenges influenced by their real-life journeys. But it’s not all super serious – we do want you to have some fun! We recommend getting together with friends or others from your team for the best challenge experience – but flying solo is ok too. For more information on what to expect and how to prepare for the challenge weekend, check our handy How-to Guide. What’s the difference between a refugee and a displaced person? A refugee is someone who has crossed their country’s border, is living outside their country of origin, and is unwilling or unable to return due to a well-founded fear of being persecuted. This could be because of their race, religion, nationality, membership of a particular social group or political opinion. A refugee has been granted the international right of protection. The number of refugees is currently the highest in recorded history – there are over 25.4 million refugees worldwide. A displaced person is someone who has fled their home to another part of their country, without crossing an international border. A staggering 30 people are displaced every minute. Globally, 68.5 million people have been forced from their homes – that's more than the populations of Australia, New Zealand and Canada combined. Right now, there are more refugees and displaced people than ever before. This is the reality for millions of young people like you around the world. How come it’s not a famine challenge anymore? While World Vision's 40 Hour Famine Backpack Challenge still raises money for vulnerable people, these days it’s a little different! In 2017, we wanted to address the current refugee crisis, which has become the biggest humanitarian crisis of our time. Conflict and violence, food insecurity and natural disaster have forced millions of families to flee their homes. The statistics for people under 18 years old are scary ­­– they make up more than half of all refugees. World Vision Australia is committed to helping achieve life in all its fullness for every child. That’s why we have focused our 40 Hour Famine efforts on helping young refugee and displaced people around the world – young people who could just as easily be in our shoes as we could be in theirs. First, make sure you sign up! 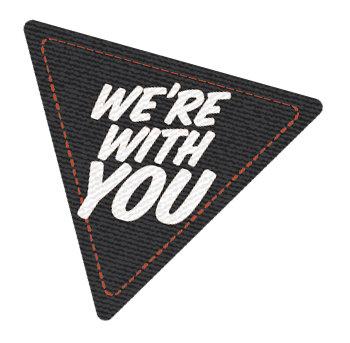 You’ll get a personal fundraising page to track donations, share your progress and win Challenge Patches! In our experience, the best way to raise money is simply to ask – you’d be surprised by how many people are willing to support your efforts for a good cause! But we understand that asking for money can be a little awkward. That’s why we’ve put together this 10 Steps for Fundraising Success guide, full of helpful tips and tricks on how to increase your impact for young refugee and displaced people. What if I receive cash and other non-card donations? Collecting donations online via credit card is the easiest way to go. This is done via your individual fundraising page, which you’ll receive the link for when you register online. If you collect cash donations, make sure you hand them in to your teacher or team leader (if you’re not participating with a school) for banking. Teachers and team leaders – the easiest way for you to process cash donations is to deposit the cash into your bank account and pay the total amount to your team or an individual’s fundraising page using your credit or debit card. If this isn’t an option, you can donate via cash, cheque or BPAY, but first you’ll need to check our instructions on handling cash and non-credit card donations in the terms and conditions. Please note, cash donations will not be reflected on the leaderboards or individual, school and team fundraising tallies. Only online donations are eligible to go towards the fundraising incentives available for 40HF Backpack Challenge, including digital Challenge Patches and physical prizes. Read the 40HF Backpack Challenge terms and conditions for more information on cash banking and fundraising incentive qualification. Do I need insurance to run a weekend challenge event? If you’re hosting the event as part of your school, church or organisation it’s likely to already have public liability insurance. Please discuss this with your relevant administration or leader before proceeding. World Vision insurance does not extend to third party events, so event sites are required to organise their own. As part of the registration process all participants will be asked to accept 40 Hour Famine Backpack Challenge terms and conditions. To access the terms and conditions click here or contact us at service@worldvision.com.au for a copy. We’re here to help! Visit our support page or contact our support team at help@everydayhero.com.au. Email us at service@worldvision.com.au or call us on 13 32 40.